WarlordHank had the most liked content! Seems like a fun set. I might get it just to teach other people to play (instead of that other set they're putting out). Maybe someday I'll make a tour of Canada. Lots of great places to play up there it seems! Ohio, even eastern, is probably doable given the right circumstances. Maybe sometime in 2019! I've attached an image of where the card is currently after more cleanup. I think I'm going to leave it like this for the time being. 5 Color was a neat format, and is still around, though not played by many. You can find the current rules here ( http://5-color.com/ ) but they've changed a lot since the early days. I think ownership of the site has even changed hands, and none of the original folks are involved anymore. But it was VERY common to have expensive cards severely marked up. Everything from dual lands, to moxen, and even completely wrecked lotuses. I think the format was mostly a way to say "Look at how I don't give a crap about these expensive cards!" I think EDH is a superior casual format! Hey everyone! I'm John aka WarlordHank. 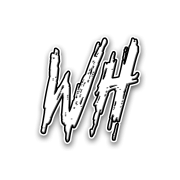 I make some sub-par videos over on youtube and am fairly active on the twitters promoting other small content creators. I'm currently looking to find some friendly LGSs in the circle I hope to visit a bunch of stores that have a more casual crowd this coming winter. If any of you know one that might fit the bill, please let me know! That's been my plan since March! I got so close to winning the Store Champs with Constrictor last round, I'm going to try again.